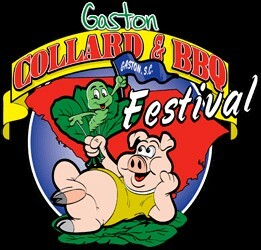 If you like collards and barbeque, than the Gaston Collard and Barbeque Festival is a must do for you. The festival celebrates fall harvest with a parade, free rides, games, antique cars, live entertainment and a barbeque cook-off. The festival kicks off on Friday, October 5th at 5pm with the Barbeque competition. This cook-off competition lasts all night. On Saturday, October 6th, the parade starts the day at 10am. Following the parade, the festival begins at 131 North Carlisle Street behind the Gaston Town Hall. There is live music with bands performing throughout the day and free rides for everyone. Crafters, vendors, and exhibitors will also be there showcasing their wares. The kitchen opens at 11:30 and will be selling Collard and Barbeque Plates that include all your favorite Southern specialties – collards, barbeque, black eyed peas, macaroni and cheese, cornbread, pound cake and tea or lemonade. This is a clean family-friendly festival and no alcohol is allowed on the premises. Come join the fun and eat lots of good food at the Gaston Collard and Barbeque Festival held the first weekend in October! For more information or to get an application to enter the cooking contest, visit the Town of Gaston website here.